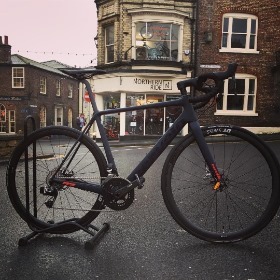 Northern Ride | Bike shop Malton, York, North Yorkshire | Ethos: 'Entry Level to Elite' | Stockist of premium brands offering quality service and servicing to our customers. We have carefully selected specialist brands in order to provide you with a complimentary selection of bicycles. Our aim is to provide access to cycling for all abilities; that is why we stock entry level through to elite level models. Can't fault the guys here. Great experience from first discussing options, through purchase and bike fit. Love the bike! Very friendly experienced staff and a good range of bikes from kids to high end road and MTB. I have bought two bikes from them. Highly recommended!!. 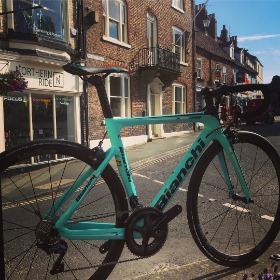 We are stockist of the following bicycle manufacturers: Bianchi, Cervelo, Focus, Kuota, Lapierre, Olympia, Scapin, Sarto Antonio, Yeti and Frog bikes . We have selected these manufacturers as they are known for their design and innovation within the industry. Since 1995, Cervélo has engineered innovative road and triathlon/time trial bikes. Whether you are a pro in the Tour de France, or simply enjoy riding on the weekends. The Cervelo series will have a bike that is suitable for your riding style. You can order a stock bike or contact us to customise components as with all our brands. Click for details. Focus are the premium German bicycle manufacturer offering high specifications at exceptional value. Focus offer a comprehensive range of mountain bikes, road bikes and electric bikes. Focus support a range of riders from various disciplines around the world. Click for details. Bianchi are true legends of the cycling world – established in 1885 in Via Nirone in Milan, Bianchi is the world’s oldest bike brand. A range of mountain bikes performance road bikes and the all new e-road bikes. Bianchi have the history of Pantani and the current testing of pro tour outfit Team Jumbo.Click for details. Sarto transaltes directly from Italian to English as 'Tailor' and that is exactly what Sarto Antonio deliver. Full custom geometry, carbon layup and paint schemes all measured and managed in store. We also have experience of desiging these frames at a distance for customers in the UK, Middle East and North America; contact for info. Click for details. Founded 1946 in Dijon, France. Lapierre is the biggest French bicycle manufacturer. Renowned for their research and development with the FDJ pro tour team testing their road bikes and Nichols Vouilvouz the 10 time world downhill champion leading the innovation on their mountain and e-mountainbikes. Click for details. Kuota are an Italian manufacturer specialising in carbon framesets. 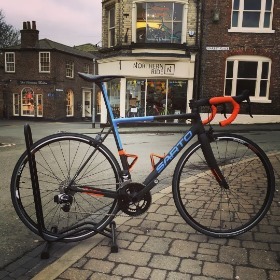 Every Kuota is ordered as a complete custom build (our other brands can be too) and we help you decide on frame size, bar width, stem length, gear ratios alongside component choice. Kuota are tested by the long established pro tour Cofidis team. Click for details. Join the tribe. 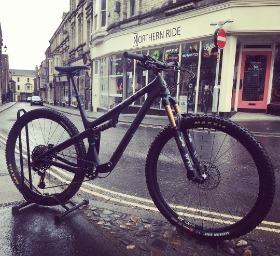 Yeti were born in 1985 and have developed some of the best full suspension mountain bikes available ever since. 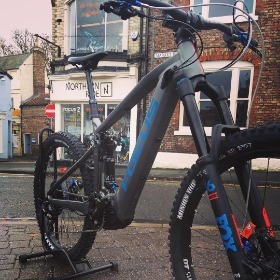 Yeti are the carbon specialists and you will definitely be seen on the trail with their Turq or Raw frames. The frames are designed around the innovative Switch Inifity System, contact us for a demo or more info. Click for details. Scapin and Olympia are Italian thoroughbreds from the Fontana family. Scapin was found in 1957 by Umberto Scapin and Olympia 1893 they have driven innovation within the industry ever since and often win the ExpoBicic design and innovation award. Click for details. 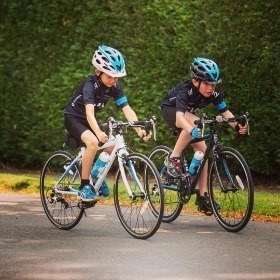 Frog are the lightweight kids bike. Frog specialise in research led design in collaboration with Brunel University What does this mean for you and your child? Confidence boosting bikes for various ages that remove the stress of learning and are more fun to ride! Click for details. We will share our knowledge with you and provide you with expert advice. 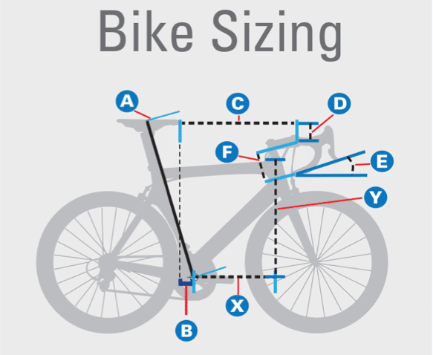 All our bicycles receive at least a basic BikeFit to ensure you are set up in a position suitable for your aspirations and specific bio-mechanics. In addition we customise stock bikes to your preferred specification whilst maintaining a competitive price. 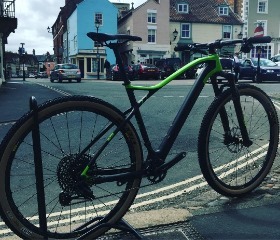 Visit us in store, we are an easily accessible bike shop for York, Leeds, Durham, Hull, Sheffield and the North of England. The most important aspect of bike fitting is the fitter. Trained by leading industry experts from cyclingposition.com and bikefit.com our dynamic BikeFit system utilises the most recent and relevant research in effective bike fitting. 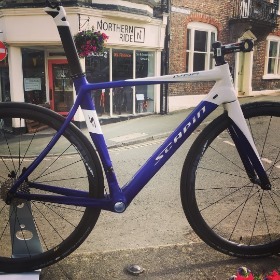 We also have a wealth of experience in designing custom geometry framesets from a number of bespoke manufacturers, resulting in an in-depth understanding of bike fitting and geometry alongside the tools required to achieve this. Our workshop is run by talented mechanics, ensuring your service is completed to the highest standard. 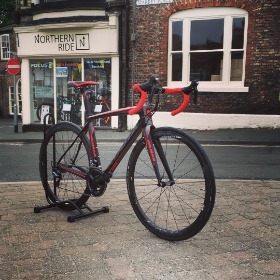 All mechanics are Cytech qualified and our workshop is managed by Kevin who has over 15 years experience in the cycling industry and 30 years in the aerospace industry, creating a true understanding of the materials and systems we use. 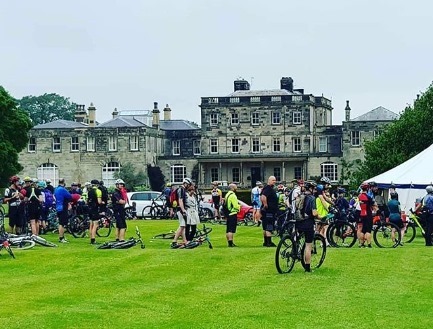 Yorkshire Mountain Bike Marathon 2019, a mountain bike marathon over 25km, 40km and 80km on previously unridden trails around the private 12,000 acres of Birdsall Estate. 2018 saw over 250 participants ride the unique terrain of Birdsall Estates with a fully marked route, finish times, emergency support and a friendly atmosphere. Entries are now open for 2019 or contact us for more details. We are open for business Monday to Saturday, 9:00 until 17:30 and are closed on Sunday's for riding and racing. Appointments are also available outside of these times, contact us using the information below to arrange.